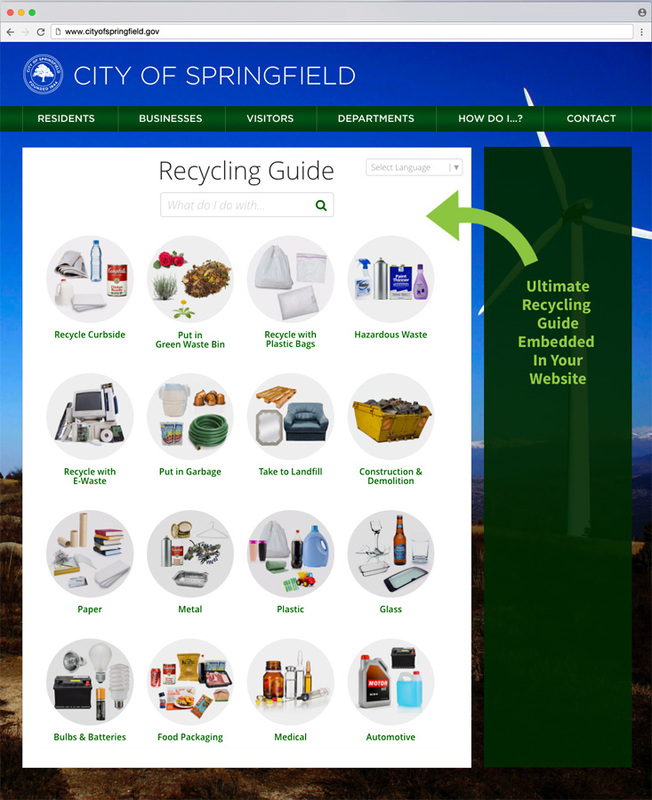 The Ultimate Recycling Guide is a fully localizable online guide that you can embed in your own website. It’s perfect for cities, counties and haulers, as well as universities and large institutions. Use it to offer your community detailed information on reducing, reusing and recycling more than 250 items. New tips, new ideas and new guide items every month. Highly visual, super clear and dead simple to follow. Keep your local information accurate with the click of a button. Only $299/month + one-time set-up fee. Discounts available for multi-year and multi-product subscriptions. Request a zero-commitment online demo to see if the Ultimate Recycling Guide is the right fit for your organization.